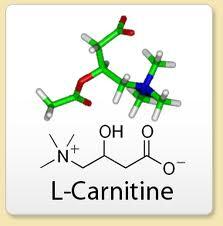 L-carnitine significantly improves cardiac health in patients after a heart attack, say a multicenter team of investigators in a study published today in Mayo Clinic Proceedings. Their findings, based on analysis of key controlled trials, associate L-carnitine with significant reduction in death from all causes and a highly significant reduction in ventricular arrhythmias and anginal attacks following a heart attack, compared with placebo or control. These findings may seem to contradict those reported in a study published earlier this month in Nature Medicine by Robert A. Koeth and others (Koeth, R. A. et al. Nature Med. http://dx.doi.org/10.1038/nm.3145), which demonstrated that metabolism by intestinal microbiota of dietary L-carnitine produced trimethylamine N-oxide (TMAO) and accelerated atherosclerosis in mice. They also noted that omnivorous human subjects produced more TMAO than did vegans or vegetarians following ingestion of L-carnitine, and suggested a possible direct link between L-carnitine, gut bacteria, TMAO, and atherosclerosis and risk of ischemic heart disease.